Choose from Kikki.k's seasonal collections of stationery, homewares and accessories that inspire you to live your best life every day. 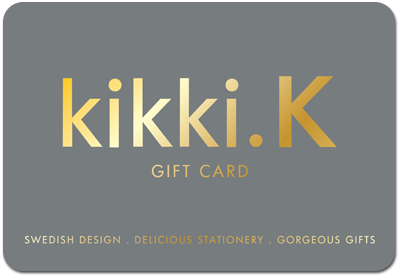 This card can be redeemed for merchandise and/or services only at Kikki.k boutiques in the country of issue and online at www.kikki-k.com. A defaced, mutilated, altered, lost or stolen card cannot be replaced, refunded or redeemed. This card is not redeemable for cash and cannot be reloaded. Valid for 3 years from date of issue. Validity date cannot be extended. Any balance remaining on the card after the date of expiry cannot be refunded or credited.